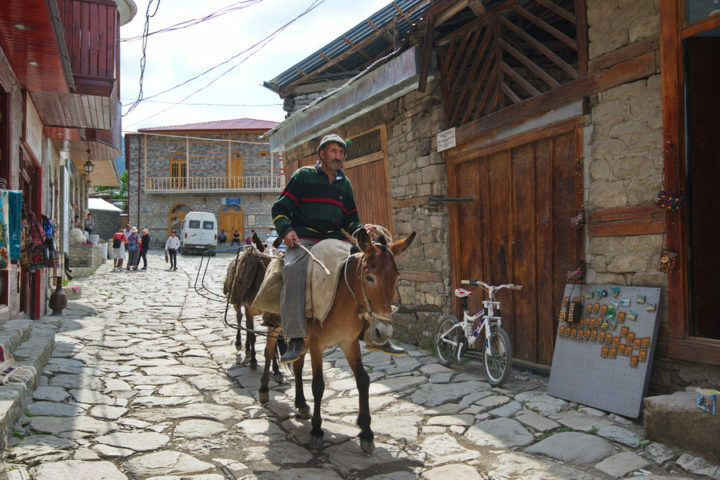 Book a Gobustan and Mud Volcano Tour to discover the life style of stone age people, ancient petroglyphs and observe the natural wonders of Caucasus- Mud volcanoes. 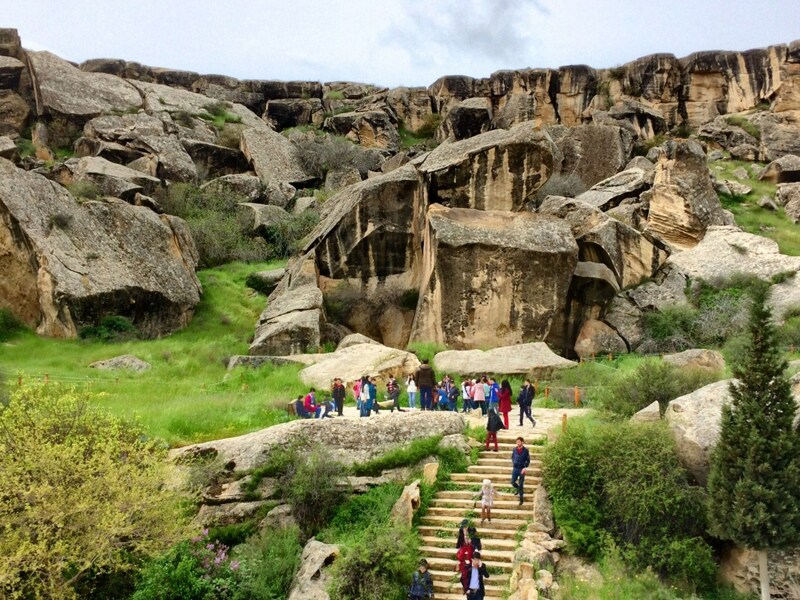 Our excursion to Gobustan Petroglyphs and Mud Volcanoes will cover Sangachal Caravanserai, Bibiheybat Mosque, Gobustan museum, Stone Age Petroglyphs, caves and Mud Volcanoes. Our professional guide and driver will assist you during the whole excursion. The tour will last about 5 hours with a flexible start time. However, considering the distance from Baku and working hours of the museum, we strongly advice to start the tour before 14:00 pm. 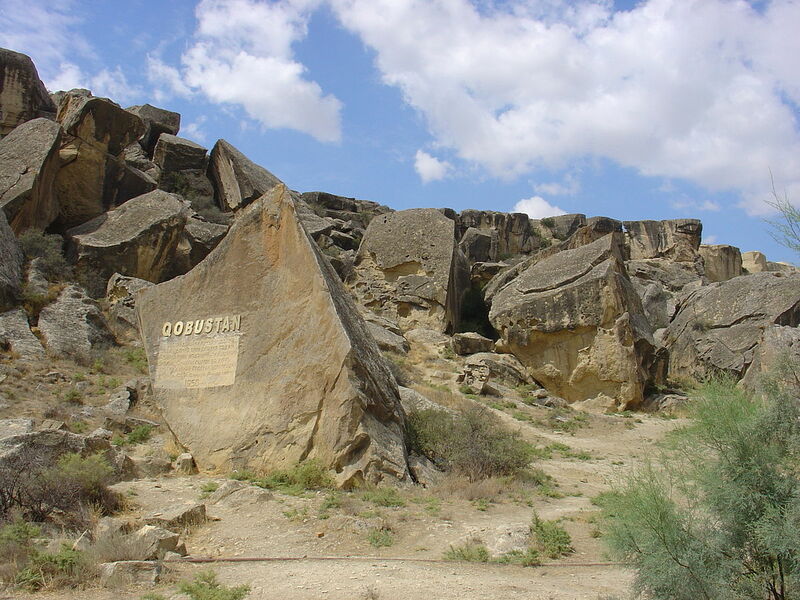 Gobustan is located on the south-east of the Great Caucasian Mountains about 60 km far south of Baku. It is a semi-desert region with numerous gullies and ravines. 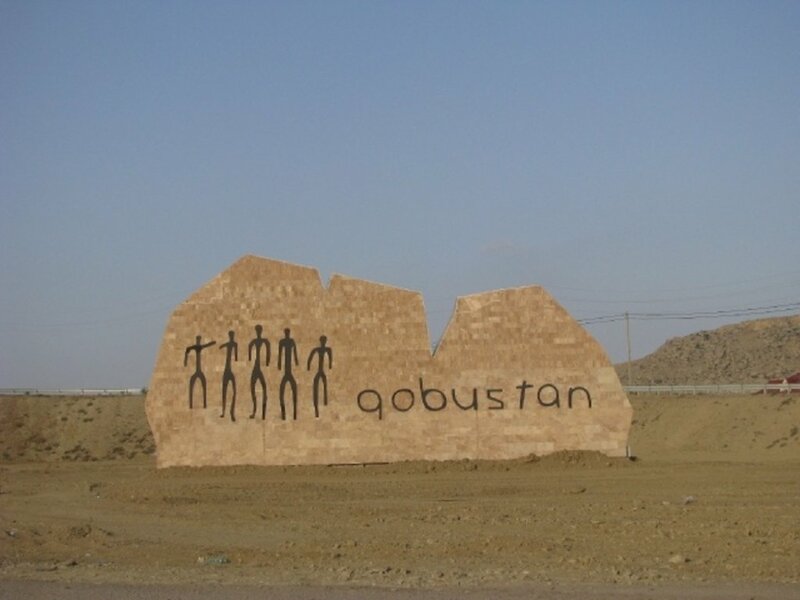 In fact, the meaning of Gobustan in local language means “ravine land”. Caves and rock outcroppings surround the region. Settled since the Stone Age, the area is one of the main and most ancient museums of rock engravings (petroglyphs) in the world. The most ancient petroglyphs identified here are considered as belonging to the 10-8th century BC. The local museum is newly renovated as has all features that tourists may ask. The museum staff is doing amazing job in preservation of the site while keeping it open to visitors. Furthermore, the whole site is UNESCO World Heritage List. 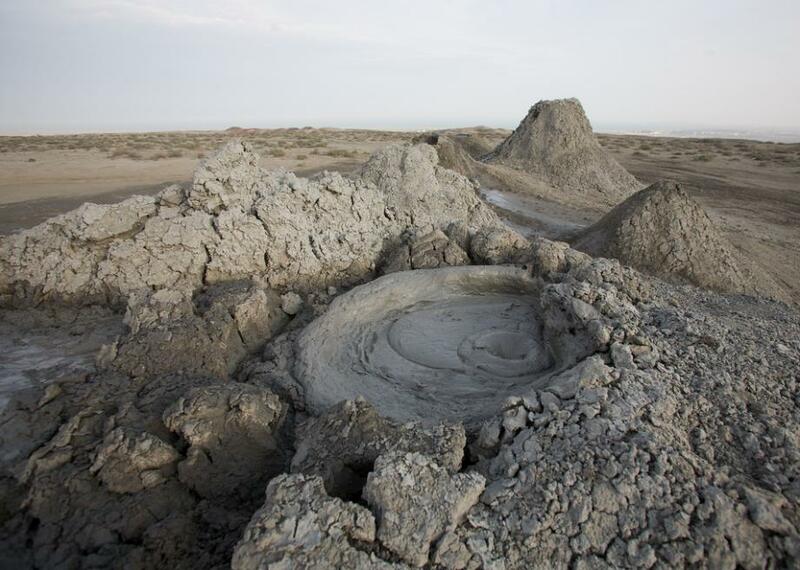 After Gobustan, we will visit Mud volcanoes-very unique site where almost 300 mud volcanoes are located. This number means, about 45% of the planet’s mud volcanoes are located in this small area. 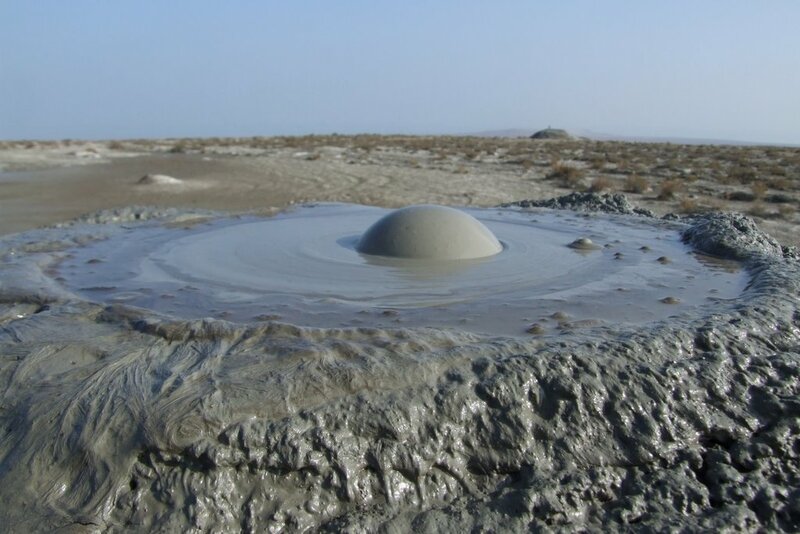 In 2001, one of the mud volcanoes erupted flames 15 meters high from the ground. Fortunately, for now there are no much activity going on there and it is safe to visit Mud volcanoes.